Stream anime episodes online for free, Watch Darker Than Black Episode 9 English version online and free episodes. 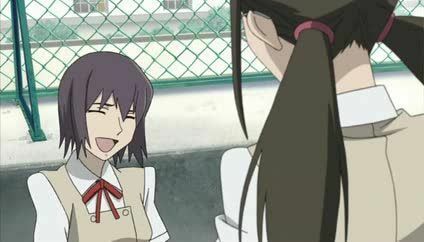 Anime Episode guide, Chapter Darker Than Black Episode 9 English dubbed The White Dress, Stained with the Girl’s Dreams and Blood… (Part 1) Kirihara, who is investigating a string of murders, ends up at the birthday party of her high school classmate, Alice Wang, who is the daughter of the boss of the Hong Kong mafia, Qing Long Tang. The party is actually a cover for an emergency board meeting related to the deaths of several Qing Long Tang executives, and Hei is also in attendance, posing as a waiter. With the Contractor, named Wei Zhijun, on her side, Alice eliminates Qing Long Tang, but Kirihara is also on her list.